Time is odd. Time is finite. Sometimes you can feel time physically. Time is precious. Time is a commodity. Consider one minute of time. Just 60 seconds. To a mother with a sick child, waiting for results, one minute can feel like a lifetime. 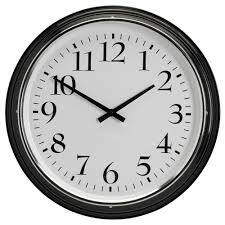 To the student taking a test, one minute of time feels like it passes in a flash. To a school kid, summer is gone in an instant. To the woman in labor pains, one minute lasts forever! To a family member waiting on a deployed family member to return, one minute is equal to an eternity. In those beautiful moments of family fun, time feels like it is rushing past. Time is a precious gift and I see so many wasting so much of it. Time is finite, whether the moments for you are rushing past or creeping by on a daily basis, it will end. My wish is that we would all begin to pay more attention to where our moments, hours, days, weeks, months, and years are going. One day we will all look back and wish we had taken the gift of time much more seriously. Regrets are few when life is lived with more awareness and intention – make your time count. Many people are in need of assistance to organize their homes and lives. 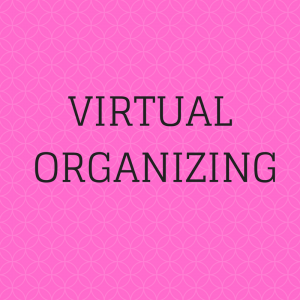 There is a way to get this done, no matter where you live, with virtual organizing services. We work together via phone/email/Facetime or Skype to organize your space the way you have always envisioned. Virtual organizing works for self-motivated individuals who have a desire to organize their home or office but need accountability, tools, and recommendations by a professional organizer. We will set up a schedule, weekly or bi-weekly to discuss tasks that need completing, discuss what has worked and hasn’t worked, look at the progress you have made, and time for you to ask any questions you may have. In between our scheduled appointments, you work on the agreed upon tasks, but if you need to chat between our scheduled appointments, I am an email away! You are able to send photos of your space via text or email. Let’s get started to work together to create the organized home you desire. 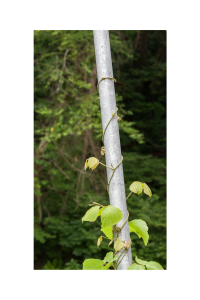 Pictured above is a plant called Kudzu. 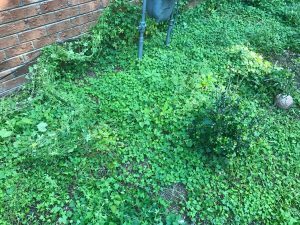 It is an invasive plant; creeping, coiling, and climbing until it has taken over every square inch of the space surrounding it. Kudzu doesn’t take over all at once. It does it slowly and over a period of time. When working with myself and my clients, I call this “the creep”. Little by little clutter begins to pile up in an area of your house. It doesn’t come in all at once, it accumulates slowly over time. A stack of mail, a stack of papers to file, a stack of magazines you are planning to read, a stack of clean clothes, a stack of dirty clothes. It goes on and on. Stuff begins to creep in small doses until one day you wake up surrounded by disorder and confusion. “The creep” happens in our minds, too. Little by little thoughts begin to enter our mind and take root. I’m too fat. I’m too skinny. My eyes are too close together. My eyes are too far apart. I’m stupid. I’m not good enough. I’m a failure. I can’t. I should be……. I’m worthless. Someone makes a statement about us and we believe it. Someone else makes a statement about us and we believe it. We take on other people’s words as truth and never examine the words and our thoughts. The thoughts creep in, take over our minds and live there and we filter the messages and events of our lives through these untruths. Just like Kudzu “the creep” is hard to kill but not impossible. It takes consistent, determined attention to cure and eradicate “the creep”. It requires paying attention to what is creeping into your home and mind. Time, focus and vigilance are needed to destroy “the creep”. “The creep” happens, but “the creep” can unhappen by doing what you can, when you can, the best you can. Pay attention to what has already crept into your life and to what may be quietly creeping in now. Yes, you read that right. I love a salad for breakfast. In fact, I’ll even eat leftover salad from dinner the night before. You might ask, “What is the point of you letting us know you eat salad for breakfast?” I’m glad you asked. There are so many responses to something as simple as what people eat for breakfast, so why do we expect our lives to be exactly alike. Why do we compare our homes, our children, our bodies, our “smarts”, our jobs, our decisions, our organizing styles, our marriages, our religions, our thought processes, our childhoods, our cars, our clothes, our hair, our furniture, our exercise routines, etc, etc, etc? I have found one of the quickest ways to happiness is contentment. Contentment is found when we work towards being the best version of ourselves and when we quit looking around and begin looking within to work from the inside out. Start today being the best version of you. 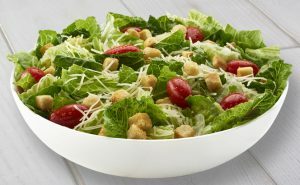 I for one am going to start by eating my salad. Life coaching is one of those concepts many people have a hard time grasping. What is a life coach? Why would I want a life coach? Life coaching is simply helping you get from point A to point B in your life. It is helping you identify your dreams and goals and find the steps you need to take to get there. What are the benefits of using a life coach? Objectivity – We all get in the midst of our lives and can’t see the forest for the trees. We look at life from one viewpoint and think that is all there is. A life coach asks you the right questions to help you look at your life from another angle and with total objectivity. Accountability – Who can’t benefit from a little accountability in our lives? It is easy to say you are going to do something or work on something, but it is also easy to peter out and not do it. The goals you set in life coaching are set by you, not me. Simply telling someone else you want to do something and how you want to do it, increases your chances of achieving it. Focus – Bringing a life coach into your life allows you to focus on yourself. We all get caught up in day to day and time can quickly pass us by. One day we wake up and we have not done what we wanted to do and regret sets in. Life coaching requires you to focus on you and what a gift that can be to your present and future self. Current vs Future Reality – The first thing I do with any new life coach client is to look at their reality. What does each aspect of your current life look like? Where is your life way out of balance? What do you want your future reality to look like? Sometimes that one activity can cause you to pause and begin to see where you need help or it will make you realize you have been ignoring areas of your life which need attention. One of the most beautiful things about life coaching is it can be done from the comfort of your own home. Most life coaching is done over the phone! Coaching can be done with anyone, anytime, anywhere in the world. Life coaching is not as hard to grasp as most people make it. Life coaching merely allows you to get a little help moving forward in a positive direction to live your best life now. Ready for life coaching? Contact me and let’s get started! Anyone who has read any of my blog posts or heard me speak should know I seriously dislike yard work. As a result, what you see is an area in my back yard that should not look like this. So, I knew I needed to carve out some time to work on this area and I did just that. As usual, I see a lot of analogies with yard work to mind work and this time was no exception. First of all, what is covering most of the area you see in the first photo is vines. Now take a closer look. 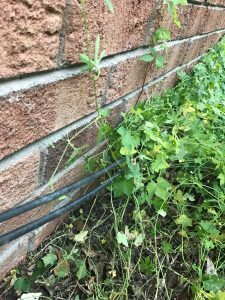 The vine latches on to walls, cable cords, other bushes, whatever is in its path. It literally takes over whatever space it can. The lies we believe and our personal truths are just like the vines. Old thoughts and lies will take over and you will line up everything you hear, say and do with those lies. I don’t mind bugs, spiders, and cute turtles, but I am seriously not a fan of creepy, crawly things like snakes, lizards or things that can jump out at me, therefore, while I was pulling up the vines, I kept my eyes peeled for critters. You would do well to do the same with your mind. Be aware of what you are thinking. Be on the lookout for the thoughts that are not useful, can be harmful and will keep you paralyzed with fear. Recently, someone in our area had been bitten by a snake. Armed with that information made me even more vigilant in looking out for the slithery beast. If I had run into a snake, it would have impeded my progress and taken me off course (as well as caused me to scream, jump around and run for the hills!!) We all have those slithery beasts in our minds and in our thoughts; those things that will take us off our path and cause us to stay stagnant and not move forward. The thoughts like – you are too stupid, you are not pretty enough, you are not athletic enough, you are too old, you are too young, you didn’t finish college, you are not like her, what if I fail. All these thoughts are poisonous and will stop us in our tracks leaving us beaten down, frustrated, and disappointed. Finally, as always, when dealing with unwanted weeds and thoughts, I have to kill them at the root. I have to get to the source of the nutrients and pull them up from the source or they will continue to grow and spawn. Thoughts and weeds are very persistent in their pursuit to flourish. I must be the gatekeeper and gardener. I decide what comes in, what stays and what goes. I decide what “plants” and thoughts I want and what “plants” and thoughts are being destructive and causing harm. I still genuinely dislike yard work. The mind work is a different story. I will weed my mind often and embrace it, for this is where so much of my life is lived. The mind is the nucleus of my actions, reactions, and results. Today’s focus: replacing the weeds and vines with something beautiful and replacing the negative, unhealthy clamorings with valuable and fruitful thoughts. Do you need to do some “yard” work?